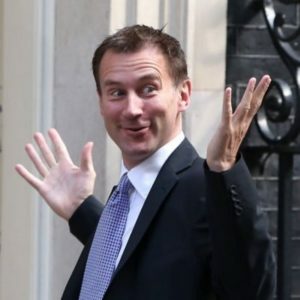 Jeremy Hunt is baffled by a Judge’s criticism of NHS services, which included the unknown words ‘shame’ and ’embarrassment’. Sir James Munby, head of the high court’s family division, thinks it’s a disgrace there’s no hospital place for the care of a suicide risk teenager, due for release from custody in a few days. Munby ordered copies of the judgment be sent to the home secretary, Amber Rudd; the health secretary, Jeremy Hunt; the education secretary, Justine Greening, and the justice secretary, David Lidington, as well as the chief executive of NHS England.